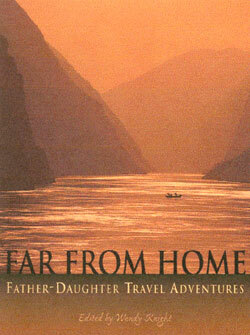 On Father's Day, 2004, Seal Press published Far From Home: Father/Daughter Travel Adventure Stories, edited by Wendy Knight, which includes "Sharing Sacred Ground," about Luke taking his daughter Eva to his family's woods in Mississippi. I grew up in a Southern family in the 1940s and ‘50s, in a family that loved land and landscape, timber and animals. My father was a conservationist sawmill manager — how odd those joined words sound now — who established the first tree farm in our county. He taught me to despise clear-cutting, to love the animals we hunted, and to see the forest as a place for spiritual visits. Above all, by example, the forest was a place to share with your children. But I struggled over how to do that with my youngest child, Eva. We lived far from the family woods, and she refused to go down with me during hunting seasons, the fall and winter months I love most. 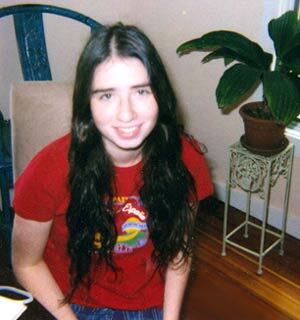 In the early mornings when she was six and seven, she used to walk the edges of our back garden in Rhode Island. Wearing a big hat, she’d check every bush and berry and bird. She had a natural joy in being outside. And from those early days I had offered to take her hunting, or just to visit the woods when I went, but she’d shake her head before I could finish. Eva was quite firm about avoiding the hunt. By the time I was fifty-five and she thirteen, I simply wanted her to see the woods. In the fall she was always busy with school — Thanksgiving would cut into family plans; and over Christmas break, the ideal time, there were armed men in the forest. Eva is quick. Her dark blue-green eyes sparkle, and she can say no with a disarming smile. I kept offering fall and winter, but last winter she was sixteen and I finally faced facts: She wasn’t going with me in those seasons. Soon she’d be gone. Summer vacation wouldn’t work, either, because the woods were transformed into a blazing hot rain forest complete with poisonous snakes and clouds of mosquitoes and redbugs — and even the odd gator. That left only spring as a possibility. But I’d never liked chilly, wet March the same way, or felt it represented the woods as they appear in my memories. The floods come, the wildflowers rise, and the low places stand under water. Spring doesn’t hold the majesty of the brisk fall, when bucks wear antlers and the yellow leaves crinkle underfoot and you can see through the oaks a long way. Spring is marshy and green, the air alive with singing and stinging insects, bass bullfrogs and treble peepers. Crows and hawks scream about mates and nests and feeding their fledglings. I felt a rush of panic as I thought about her growing up without ever seeing the Three-Buck Woods, the most beautiful part of our family forest, sacred ground where my father and I shared many adventures. Eva seemed to sense how important this was to me, and finally she agreed to go. In Mississippi, my mother showed us the latest tornado damage in town and I ritually ate barbeque. Next morning, we stretched on rubber knee boots, armed ourselves with a camera, and set off down the river road. As we hugged the gravelly curves, I pointed out tea-colored sloughs with their elegant trees — black gums and tupelos and cypresses, swollen at their bases and doubled in reflection. Every bend in the road had a story — “I shot a gobbler here, and he sailed out over there” — and Eva nodded patiently. I called on myself not to overdo it. I wanted her to catch the feeling of the place rather than listen to me, which she could do in our own kitchen. We parked by the gate of our friend Doctor Jack, who owns the land on two sides, and started our walk. We came to a long row of aromatic cedars smashed by a tornado, their faded red wood splintered open, their tops still green as they lay in the sand. Soon we reached the creek bordering our property, and listened to it roar through the culvert beneath the logging road. We turned right and walked up our east line until we came to the meandering cat slough. Here I had once watched a mother bobcat and two cubs from a nearby tree. “If we want to reach the Three-Buck, we’ll have to wade,” I explained to her. “OK.” She smiled and brightened at the challenge. Barefoot, trousers rolled up, we eased into the muddy water. Squishing our way beside cypress knees, a mighty-wing spanned great blue heron flew out from behind a black gum tree. We walked slowly and I began to whisper. It always seems a holy moment when I approach this place. Our land has been in the family for more than fifty years, and for me its heart is the Three-Buck Woods — forty acres of oaks and cypresses surrounded by longleaf pines. Here the trees are oldest and tallest, the vistas longest. The rich acorn crop brings deer, turkeys, squirrels, and songbirds together in abundance. Especially grand are the overcup white oaks, whose sweet acorns the animals eat first. When I was nine my father dropped me off at the gate with a rifle and left me to wander for a whole day around a four-mile trail. Back then the woods felt dangerous, inhabited by fierce animals — boars and bobcats and panthers — before forestry and wildlife biology had penetrated either the woods or me. An Old Testament sense of the wilderness was my guide, and I was drawn mysteriously toward the shadows of big trees. I expected to see a shaggy boar with curling tusks, or to feel the presence of God as He’d appeared to Abraham. Growing up, taking on layers of knowledge, each with its own weight, felt like a dialogue with this forest. After the final visit here with my dad, fifteen years before, I had written: The Three-Buck Woods grows in such quiet / cypress, shagbark, oak, persimmon / mallards feed beneath the trees / my father and his woods are one. Eva and I crossed a sage field and entered an opening in the oaks. Sometimes I’ve slipped up on deer or turkeys feeding here, but that day the whole thing was flooded. Wet since winter, the acorn flat of the woods lay beneath a foot of water. It was a grand sight, with the trees open and the air still. “This is where it happened,” I said. She knew I was talking about how the Three-Buck got its name. Back in the mists of time, on a crisp fall afternoon in the ‘60s, I’d heard the five quick shots from the distinctive rifle of my boyhood friend, Dennis. When the five of us who were hunting that day met at my truck, I looked into the back by the light of sundown and was astonished to find three big bucks. It was excessive even then, and each member of my circle carries the memory with a mixture of man-guilt and boy-pride. Eva studied the flooded trees. She’s told me she doesn’t understand the hunting part of my legacy, despite all my words about friendship and tradition and the joys of cooking venison. Killing is repugnant to Eva, a vegetarian who protects mice in the kitchen. From her point of view, hunting is about needless killing, and therefore makes no sense. I agreed with her. Suddenly this practice, which people think morally superior to other kinds of fishing, seemed cruel. “You let it go wounded and confused,” she said. “Enjoy pulling it in, feeling its desperation,.” I said. “Making it bleed,” she added. Unlike factory farming, which can subject animals to cruel conditions — chickens kept standing on slanted wire surfaces, confined and unable to move, their beaks and toes cut off — hunting is about a single animal and about the hunter, who should bring great respect for it, as I believe and as indigenous hunting peoples often expressed. Native American hunters believed the animal’s spirit understands the sacrifice of its life and body, and when an animal appears to a hunter it’s the “give away.” I’ve studied and written about this philosophy in the Creek and Mikasuki tribes, whose traditions hold that the animal sacrifices its life for a balance between humans and animals. A good hunter takes no more than is needed for food or medicine. The master spirit of the species, like the spirit of the individual animal, gladly gives up a single life. Thus a balance in living, an ecology, is achieved and given a spiritual framework. We stood listening to tree frogs and cicadas. This was the moment I’d wanted for years. My grandfather had ridden his horse in this timber in 1935, and seen great cypress trees standing in acres of purple violets. He’d negotiated for the timber with a man who kept a bear on a chain. My father bought the land in 1950, and cut the timber only once, lightly. The trees and wood ducks and butterflies, in the privacy of shadows and silence, were what he’d wanted to pass along to us. Eva watched the woods the way I do, peaceful and alert. A pair of ducks flew near us, threading the trees in flashing colors, shrieking and then splashing down to swim. She smiled with pleasure. As we made our way out, we noticed a red-tailed hawk and tracks of raccoons and possums. Back at the culvert a cottonmouth moccasin lay with its head inside a hole. Eva crept up and took its picture. We stood for a while by the flooded creek in the last of the afternoon, with the low bright sun doubled in the water. The place was rich and green and alive with reflections. The next day we took another approach to the land. We drove to within a mile of my woods, and walked in along the railroad tracks. The bed is high above the swamp, with wonderful views, and I’m always on the lookout for the shells of turtles up here. We found one, bell-shaped and weathered white, and I told her my theory that bobcats bring them up to sit and eat. Bobcats — or foxes, or coyotes. In a few minutes she spotted a live one, a box turtle with delicate red stripes down its neck. Though it tried to swim in a puddle and crawl, its head remained jammed against a long steel rail. “Let’s rescue it,” she said. I nodded and picked it up, carried it down to a grassy pool for release. Eva and I didn’t have to convince each other of anything. We didn’t have to resolve our views about food and righteousness. But I needed to bring her to my woods, ritual site, and to stand there as she witnessed it.